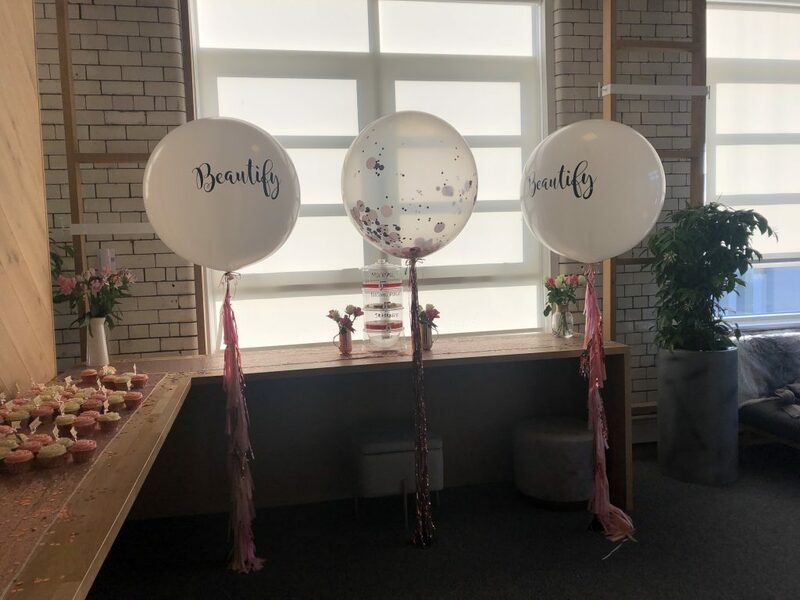 What better way to celebrate a successful relaunch than with a Beautify themed party? 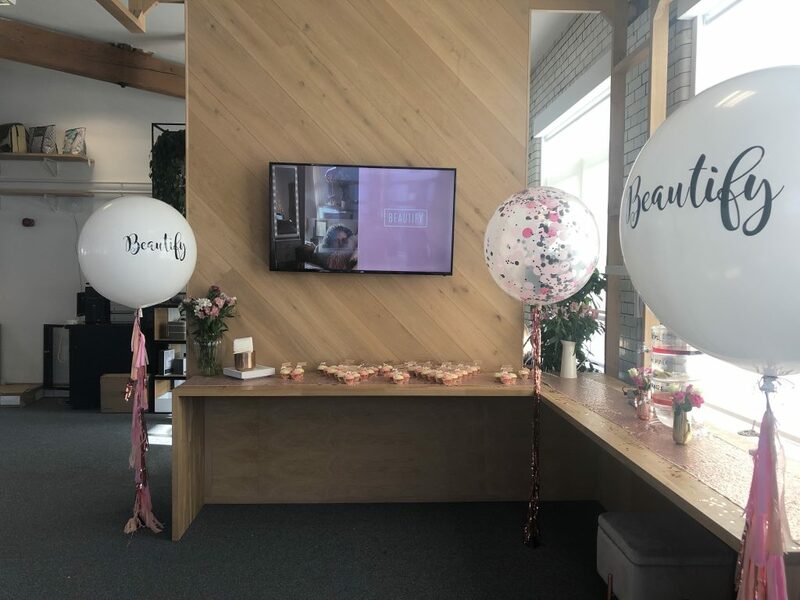 The entire company came together on the 6th floor of Beautify HQ to experience what’s behind our newest brand. An early 3pm finish saw everyone gather for an access-all-areas presentation on what’s behind the exciting changes we’ve made. In and amongst the flowers, fairy lights, branded balloons and lots of glitter was a buffet in true Beautify style. 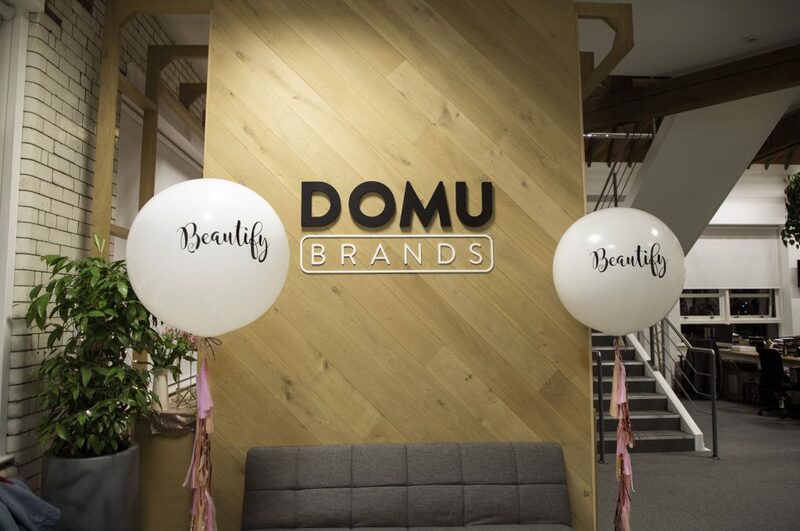 Everyone indulged on a spread of fancy canapés and tempting desserts – including gorgeous branded cupcakes! (Of course.) Some people even cosied up on the sofas with our Beautify cushions and throws, sipping on Prosecco and fruity mocktails. Our new direction will put the customers at the centre of all we do, and this party certainly gave Domu employees a taste of what we’ll be aiming to make every customer feel when they shop with us!